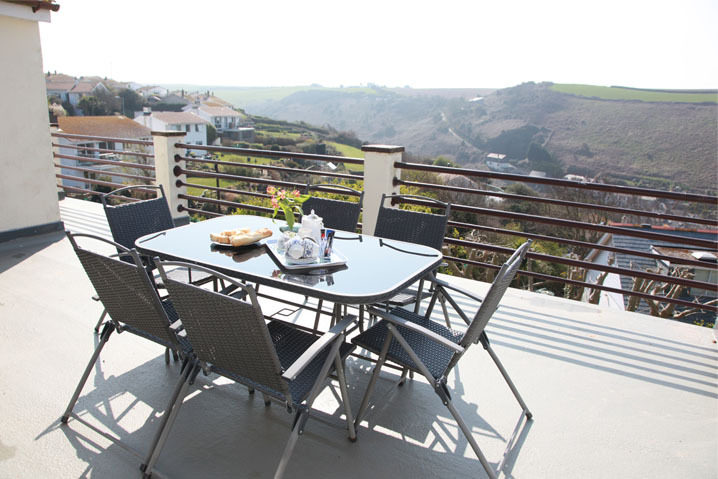 The Moorings is the largest of our three properties and is situated in the newer part of Port Isaac overlooking the old village and its harbour. It faces South and has a large patio where visitors can bask in the sun while looking at views of the cliffs and the sea. 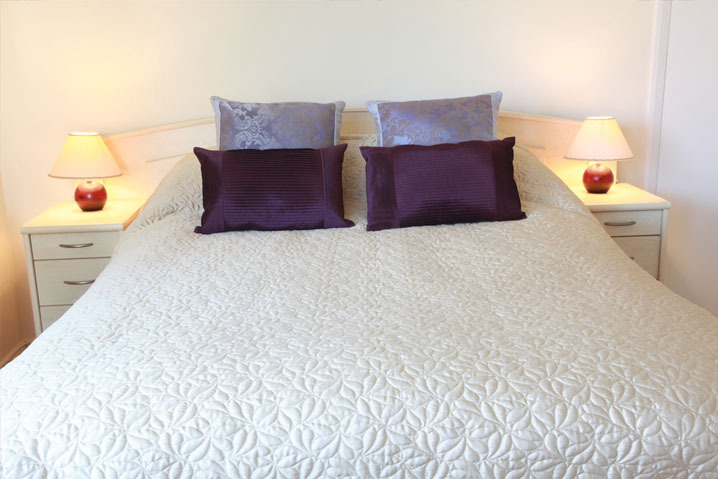 The Moorings sleeps eight in four bedrooms with one King, one double and a twin bedroom on the ground floor. 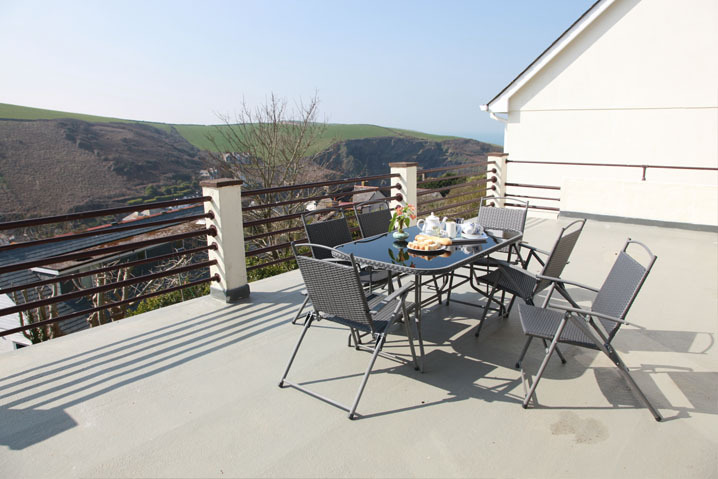 The fourth twin bedroom and a large lounge is on the first floor and takes advantage of the views of the old Port Isaac village. The property was recently fully refurbished in 2018. A new well equipped kitchen was installed in 2015, is separate from the dining room and has a sliding door opening on to the patio. A selection of books and DVDs is available for all the family to enjoy. Free superfast fibre wifi is included in the rate. Reserved parking for two cars is available with the cottage. 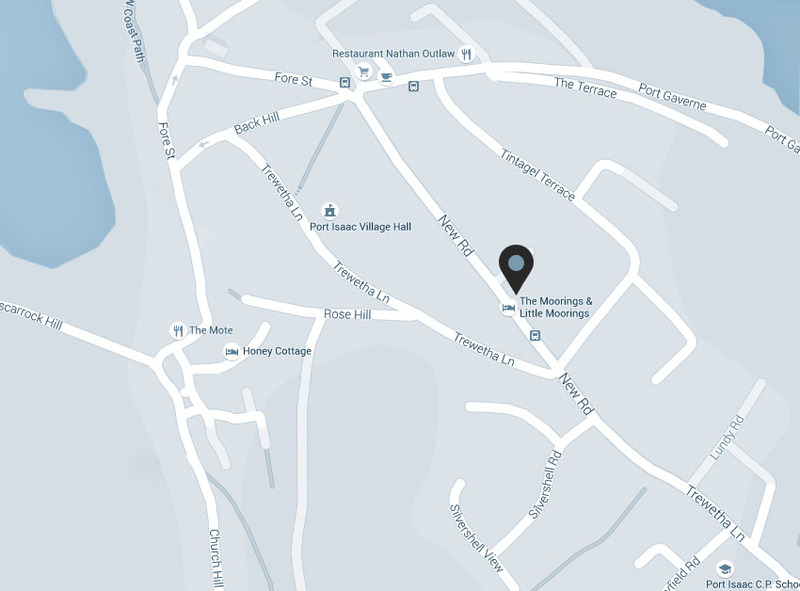 For those with more than two cars, there are also two public car parks in the village. Family bathroom with shower over bath, separate WC on first floor. We will always be able to advise if you’re unsure about the planning of your journey. ” Just come back from a stay in this lovely property – The Moorings – very clean with everything you could want, and just 5 minutes walk into the village which is amazing! Honey Cottage is a cosy cottage that has featured in the television series Doc Martin. 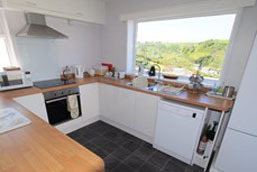 Little Moorings is a self-contained two bedroom apartment that sleeps four people.